Queries in English for our non-Greek speaking members. 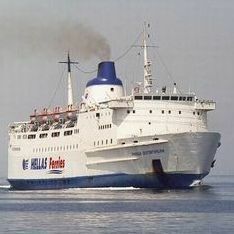 Nissos Kefalonia is bought from Levante Ferries and is under major refit from her new owners. Nissos Rodos is replacing the three ships of Superfast Ferries and she will on the Adriatic route Patra Igoumenitsa Bari until the end of March.